What’s In YOUR Bento? 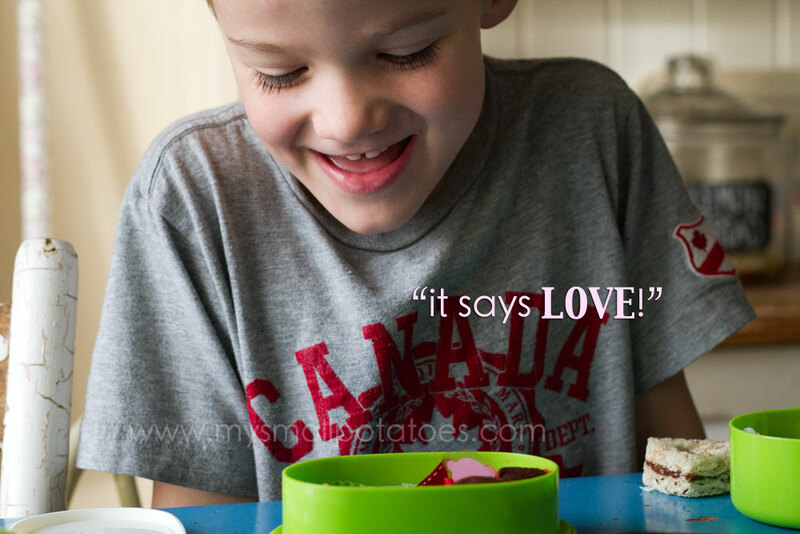 A Valentine’s Lunch For My boy! 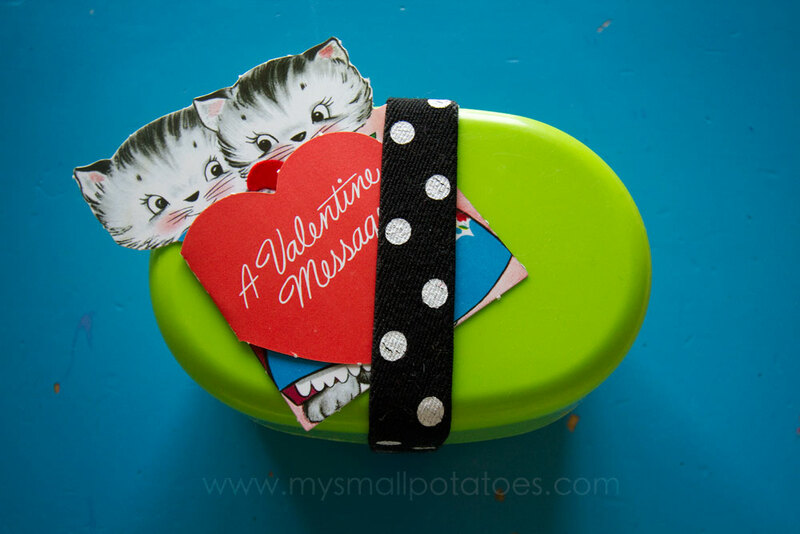 Remember last week when I made a Valentine’s bento for my littlest girl? Well, my littlest boy could not be left out of the fun, right? So I got to making one for him and surprised him with it when he came home from school yesterday. He loves cats, is not such a big fan of pink, and he loves chocolate. 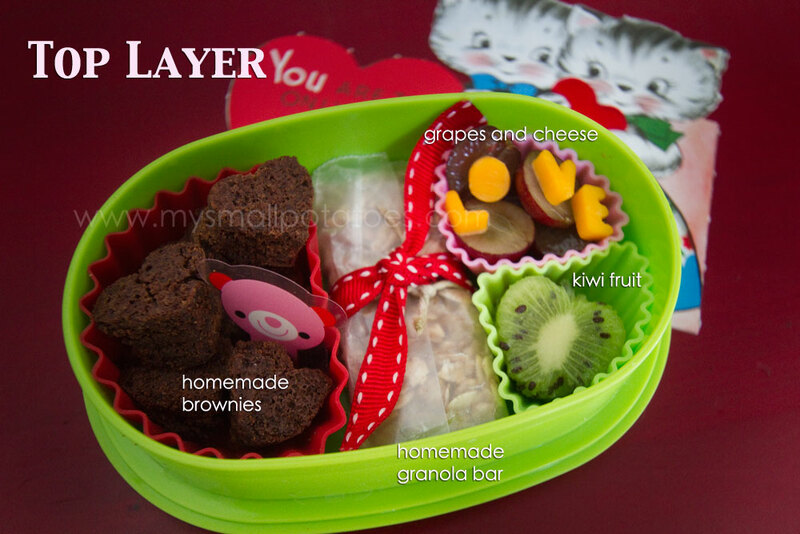 I tried to tailor his bento to fit these requirements, but still make it “Valentine-y”… The top layer… I used my small heart-shaped cutter to cut the brownies and the kiwi fruits. The little cheese letters were made with little alphabet cutters. I purchased mine in Japan and couldn’t find them online anywhere for you. But I did find these…click HERE. You can also get them in the UK from THIS link. I have personally ordered from both of these sites and have never had any issues. Now for the little pink bear that’s tucked in the brownies… These little guys can clip on the sides of your silicon cups and you can still close the lid because they are bendy! You can find these ones HERE, but there are many different kinds out there! You can wash them and use them over and over again. The bottom layer… The sandwich is made just like the one from last week, it just has Nutella in it instead of cream cheese and jam. The salad has little tiny cheese hearts that I cut with a tiny little cutter that came with my ABC cutters. The closest I could find for you is right HERE. I have ordered from this company also. They are straight from Japan and so shipping takes a wee bit longer than from the other sites, but my orders have always arrived safely. 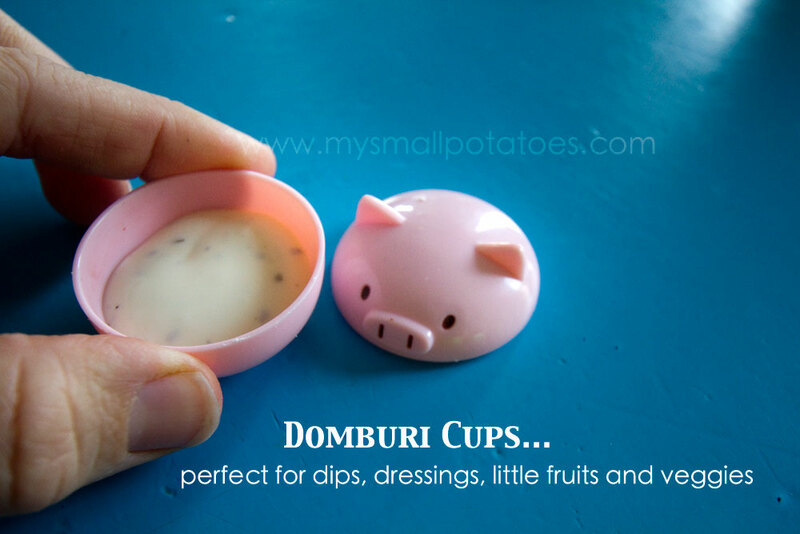 The salad dressing is inside one of these cute little cups… They are tiny and come in graduating sizes. This piggy is the middle-sized one. 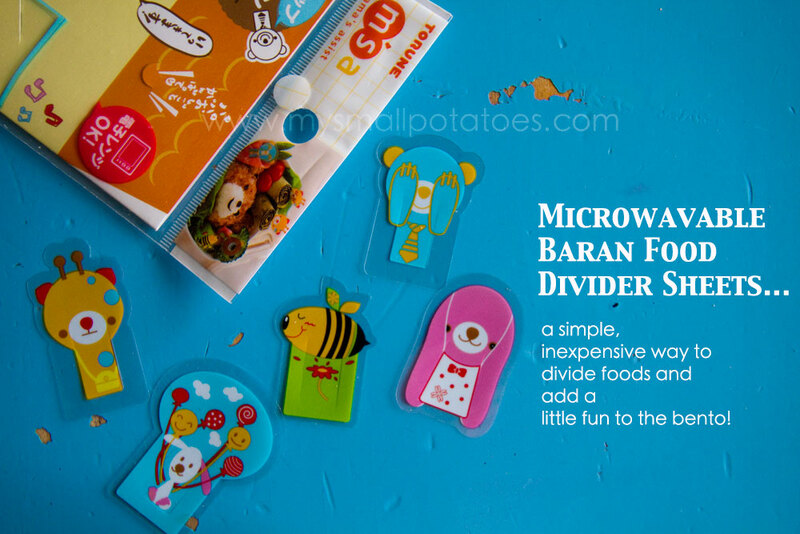 We use the smallest one for salt when the kids take a boiled egg to school. You can find these cups HERE. But please remember to change the currency for your part of the world BEFORE you shop, or the shipping costs will be tremendous. I have ordered from this site without any trouble at all. The wee fork that is in the bottom layer is for eating the salad. 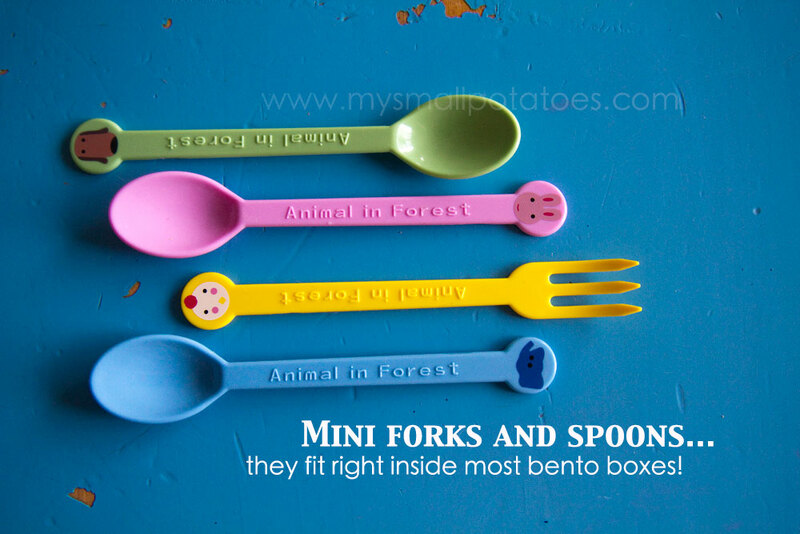 I like these for yogurt, fruit, etc, because they fit right inside the bento. They can be found HERE. 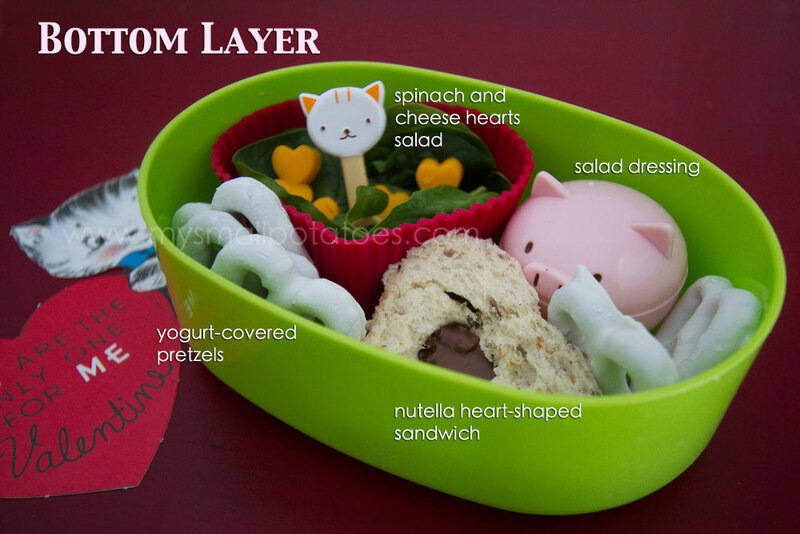 When my boy came home from school and saw his bento snack waiting for him, he was so happy that he got one too! He dug right in for that Nutella sandwich! 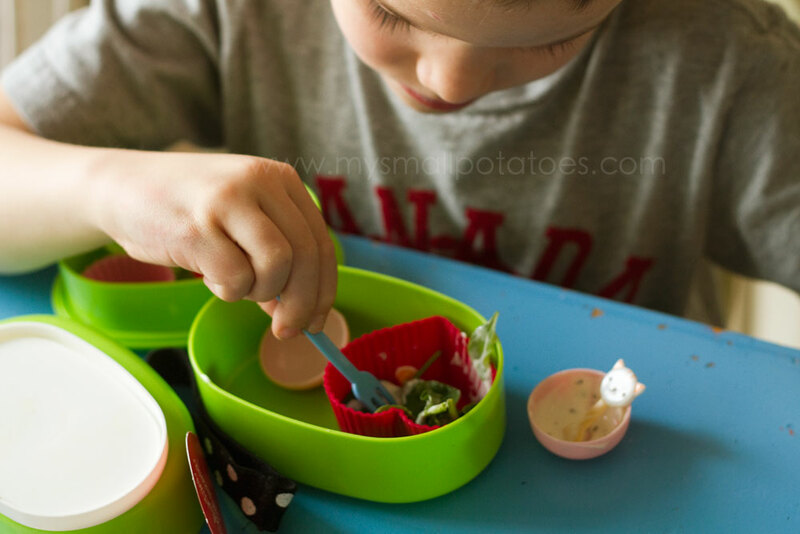 And he gobbled up his little salad… Then he got to the top layer and his reaction just about made me cry… Yes it does, little boy. Yes it does. Thanks for stopping by for this week’s bento! 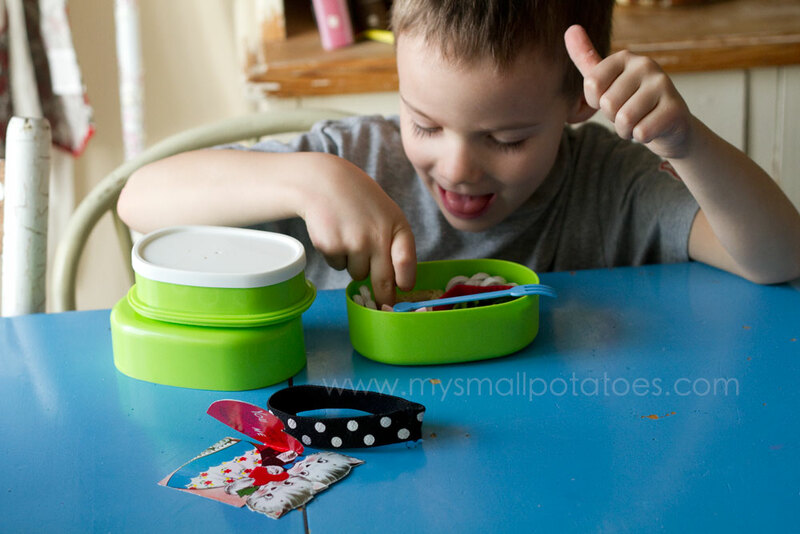 Posted in Bento Boxes, Boys, Childcare, Cooking, creativity, Early Childhood, Education, Food, Fussy eaters, Imagination, Inspiration, Japan, Lunch, Meals, Nutrition, picky eaters, Uncategorized, What's In YOUR Bento? wonderful 🙂 btw I was wondering, how do you manage that the contents remain the same after, lets say 4-5 hours and some carrying around? Is there a special bag for the bento snacks, so the whole box stands still and the right side up the whole time? Cute idea… my mom got our little man one for Christmas that I’ve yet to use, now I have some inspiration! 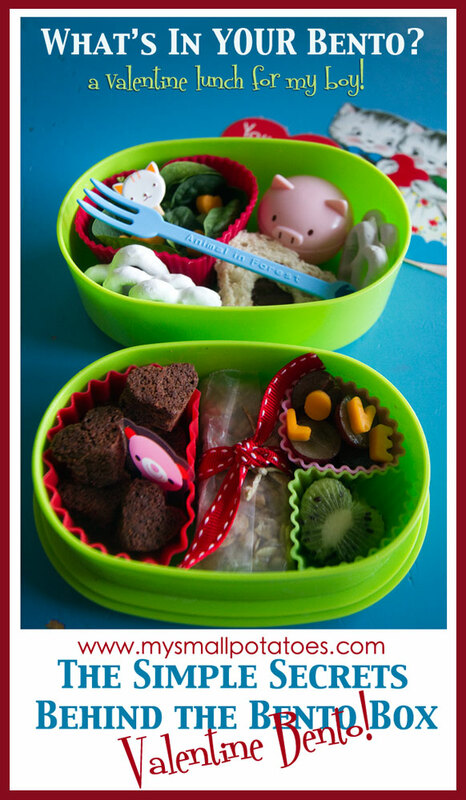 Inspired me to do something creative for my children’s pack lunch! Thank you for a great idea.